This Christmas, we're all searching for gifts that mean a little more, last a little longer and truly represent the spirit of the season. Here's one that fits the bill: give a TOLI microloan in honor of a loved one. 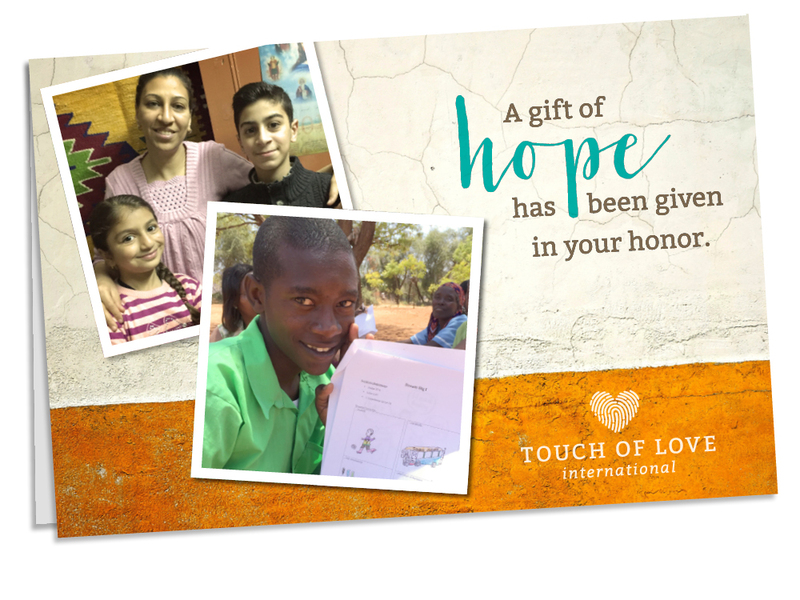 Honor cards are available to download and print when you gift a TOLI loan. Click on the link to find out more. Your gift can mean a hand up for a father who yearns to provide for his family or for a woman aching to send her kids to school. TOLI microloans empower individuals to rebuild their communities, to fulfill their purpose and experience true flourishing. Sponsor one microloan ($300), a whole village ($3000) or even just a share of a loan ($30). Whatever the size, your gift can transform a life, a family, even a whole community.